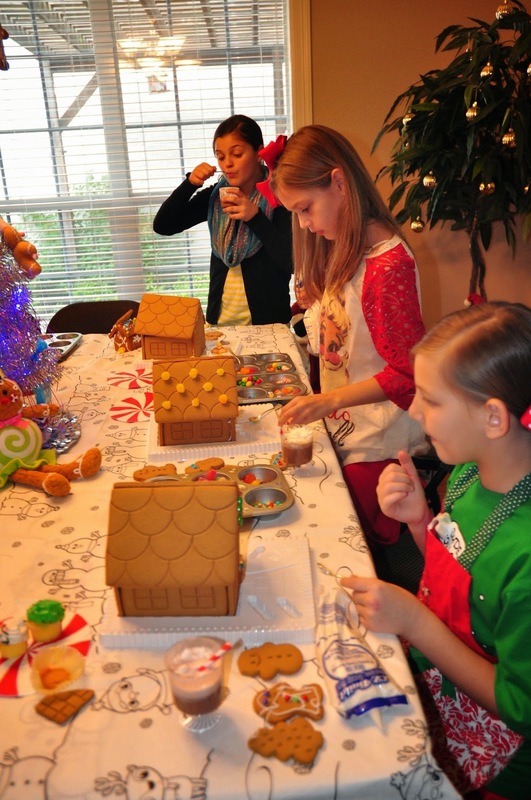 While I'm Waiting...: Gingerbread House decorating party! 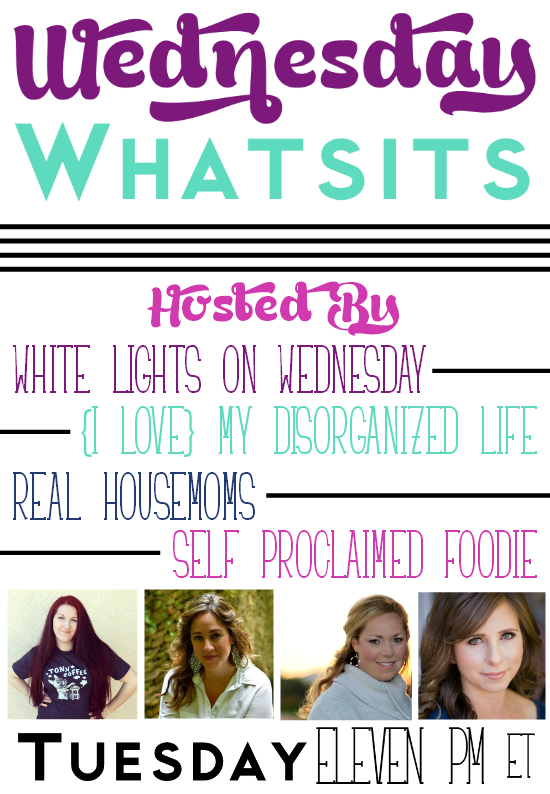 The idea of this party started last Monday (a mere 5 days before I wanted to host said party!) when I read Cassie from Hi Sugarplum's blog post on simple gifts to make and give. 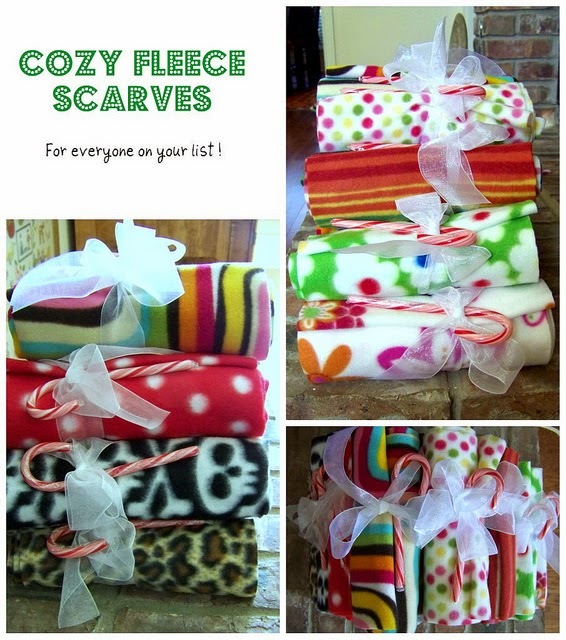 I saw this pic and knew I had to make these adorable scarves for someone! But, who could I make them for...hey, wait a minute! 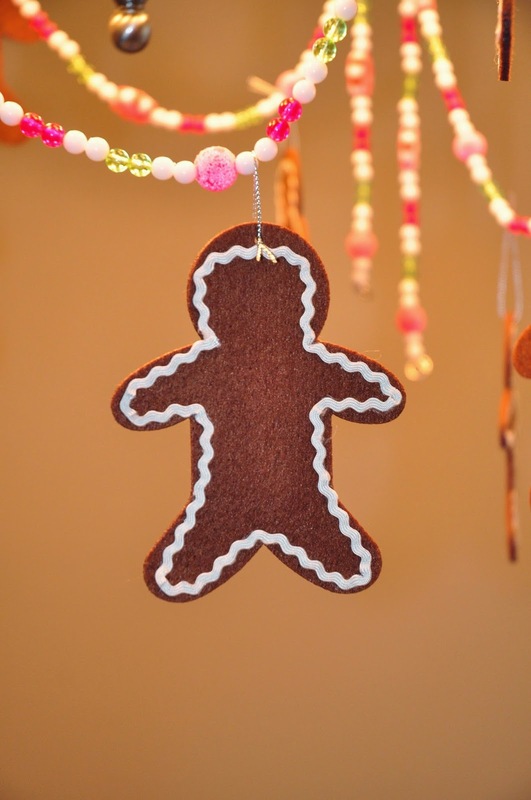 I can host a Gingerbread House Decorating Party and give these adorable scarves as party favors! I eagerly waited on Holden to get home from school so that she could work on her invite list and then sent out a quick evite. The rest, as they say, is history! This was the wreath that I made for the front door. 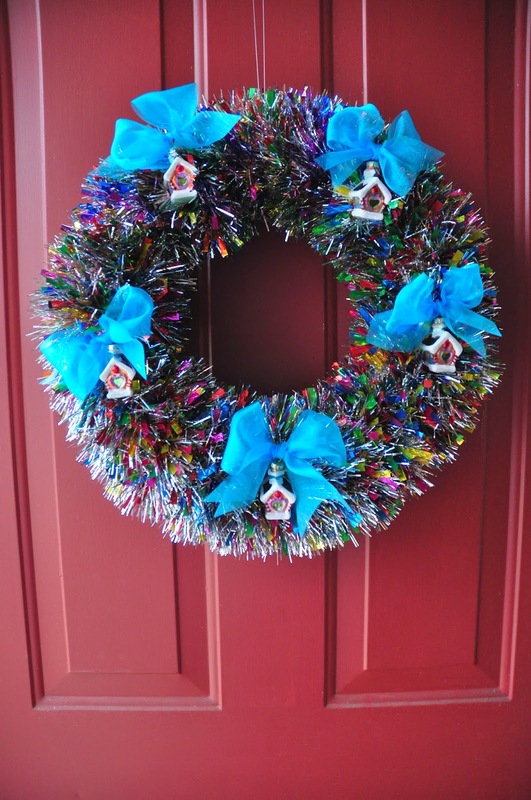 I found the tinsel at Target and the mini gingerbread glass ornaments and turquoise ribbon at Hobby Lobby. (Everything I purchased at Hobby Lobby was 1/2 off - score!). I found this cute color-your-own disposable tablecloth at Target. 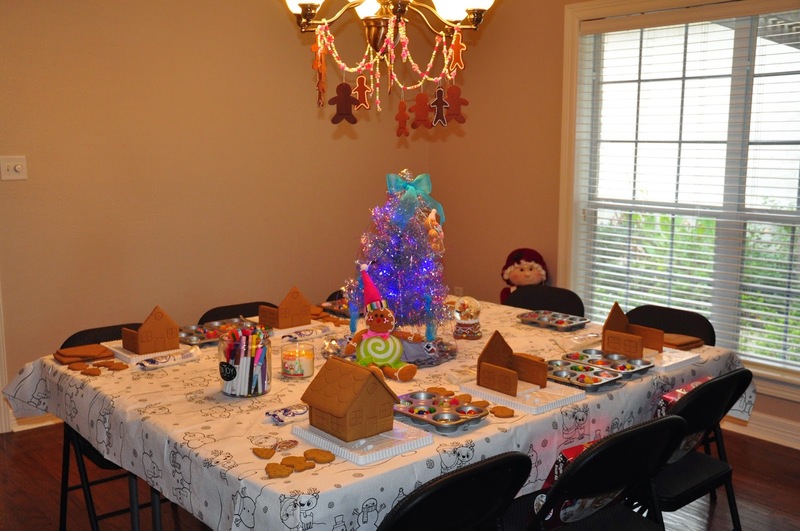 The centerpiece consisted of the tree from Holden's room with a few new gingerbread ornaments, a gingerbread snow globe and a cute stuffed gingerbread girl - all from Hob Lob! I had intended to hang this garland on the wall but at the last minute I hung it from the light fixture (whose light really gave the camera a hard time!). The garland was found in the holiday section at Hobby Lobby and I added gingerbread ornaments that I found in the craft section. Saw on Pinterest (where else?!) to put the candy in cupcake pans - GENIUS! I picked these small pans up at the Dollar Tree (I also picked up a few extra bags of candy while I was there too!). Before the girls arrived (ok, Shelly and I might have still been working on this as they arrived! ), we hot glued three sides of the house together. We didn't want them getting frustrated so we just gave them a little helping start! 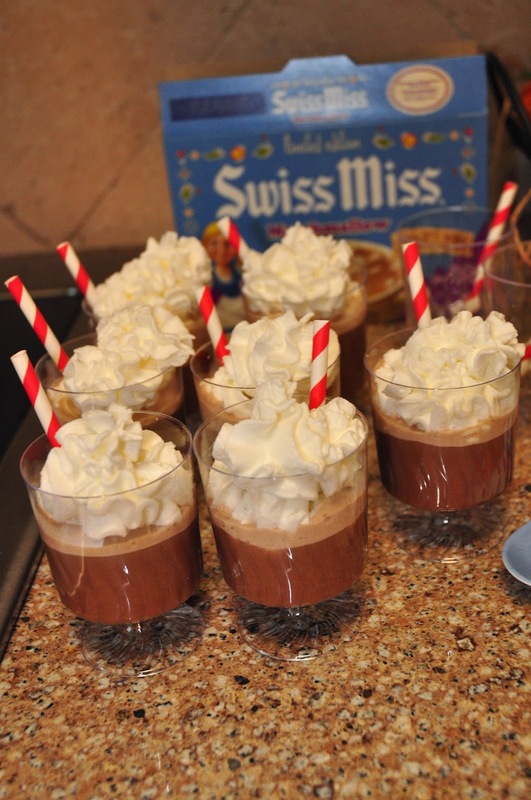 For a snack we had cupcakes, cookies, and their favorite - hot chocolate with whipped cream! 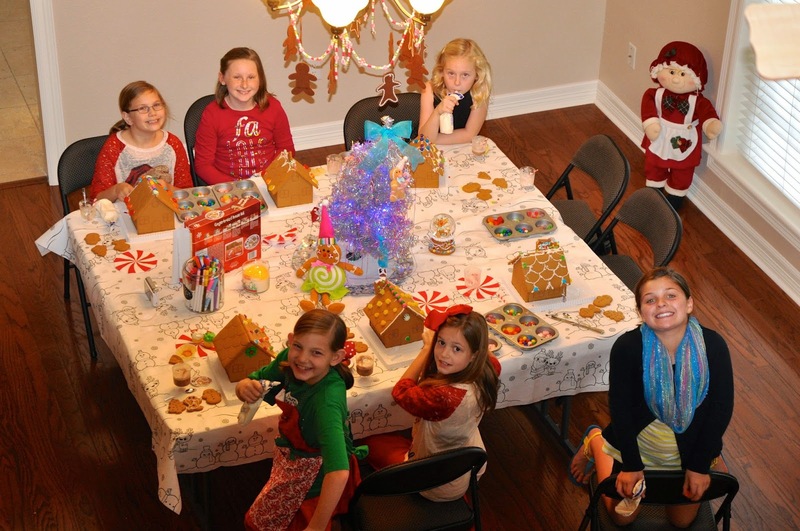 Not sure if the girls consumed more of the sweets or decorated their houses with them! I'm confident that I sent them home on a huge sugar high! Such a fun afternoon spent with fun friends. I'm so glad everyone was able to join us on such short notice! Carly, Holden and Hope showing off their creations! Super fun day! We'll definitely host another party like this in the future! This might even become a new holiday tradition! Thanks for stopping by! And, a HUGE thank you to Shelly for helping me and also for taking these wonderful pictures! Seriously couldn't have done it without you! 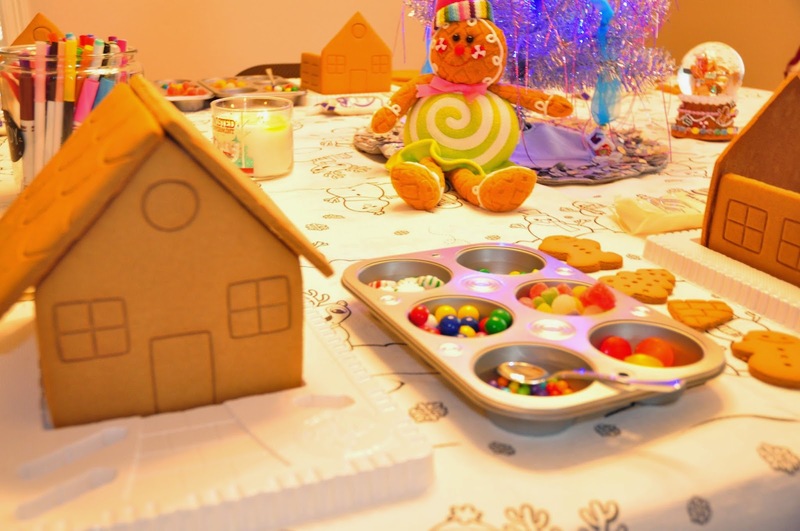 Much appreciation goes out to Karissa from A Fresh Start, the ladies from the The Mommy Monday Blog Hop, and Sinea from Ducks 'n a Row for featuring my post about our Gingerbread House decorating party! What an honor! Thank you so much, ladies! I have one left at my house...maybe we should have a wine and movie night at the creek! I have one left too that I was about to return...maybe it's a sign! :) That would be SO much fun!!! What a super fun idea! I know they all had a great time! I couldn't help but giggle when I went to Jo-Ann's to look for fabric. No luck with a nice cutting lady! :/ I even asked her if she would let me borrow her scissors and I would do it myself (just to use their nice cutting surface). Apparently asking to use their scissors is a big NO NO! :) I love your blog! Can't wait to find my next nugget of inspiration! Merry Christmas! Thank you!!! I was so glad Shelly snapped that picture for us! I love it too! And, thank you for your sweet words of encouragement! They mean the world to me! Wow, what a wonderful fun party idea. My children would love this! It really was so.much.fun! I'm so glad you stopped by! Have a super day! I can't wait to do our gingerbread houses this year! This party looked like a blast! 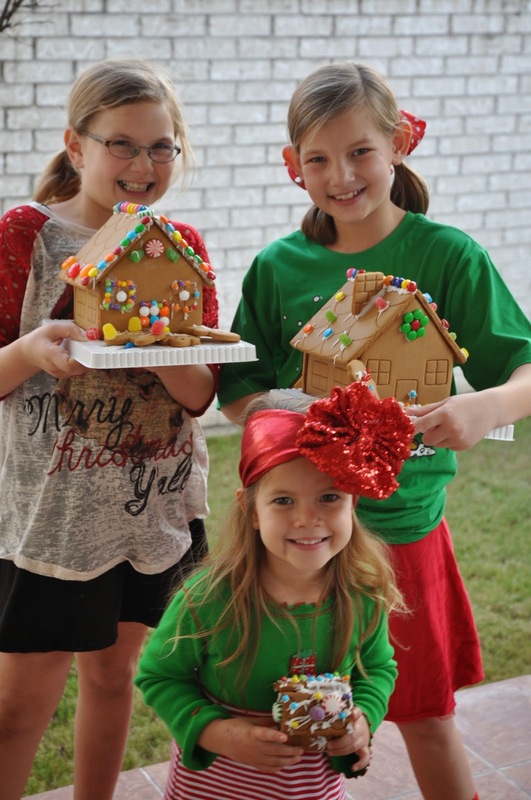 The girls had so much fun (and consumed just as much sugar as they put on their houses!). Thanks so much for stopping by! Hope you guys have fun decorating your houses!!! Thanks! I'm so glad you stopped by! 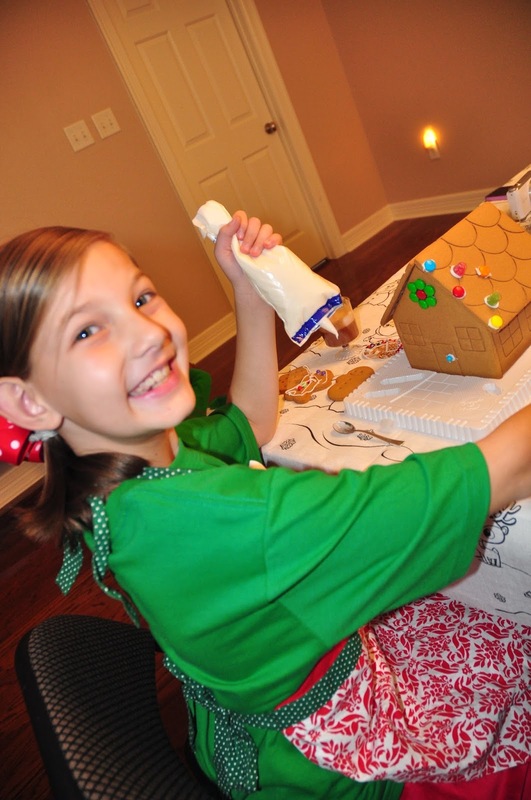 Gingerbread house decorating is so much fun. We do ours with the grandparents at Thanksgiving after we eat. Love you pics, especially the last one. I love that! 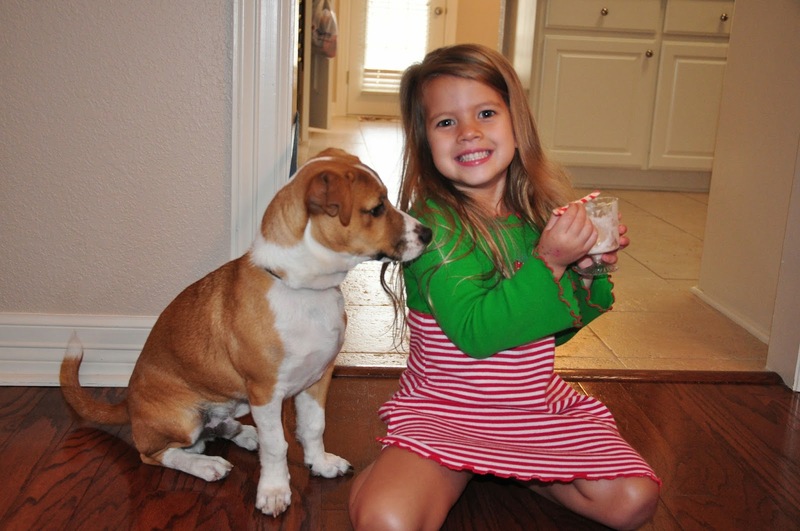 What fun memories for your kids and their grandparents! Thanks so much for stopping by! Hope you are having a great week! You absolutely should! It was SO much fun!!! Thanks so much for hosting! Hope to see you again this week! 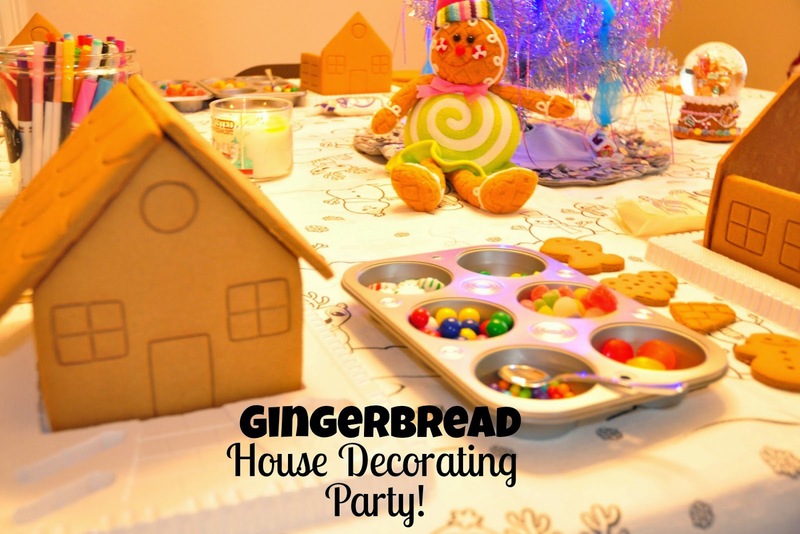 Holly what a fun party idea! 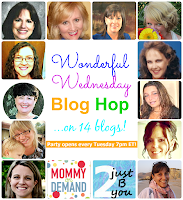 I have selected your post as my Editor's Pick for the upcoming Wonderful Wednesday Blog Hop on Ducks 'n a Row. Congrats! Thank you so much! What an honor! Thanks so much for hosting and I look forward to stopping by on Wednesday! Aww, what a fun party theme! Thanks so much, Rachel! It really was a lot of fun! What a fabulous idea for a party! I think this would be fun for adults too! Love it! Stopping by from Ducks N A Row Party. It absolutely would be!!! All you need to add would be mimosas and bloody mary's! Thank you so much for stopping by! Hope you have a fabulous day! 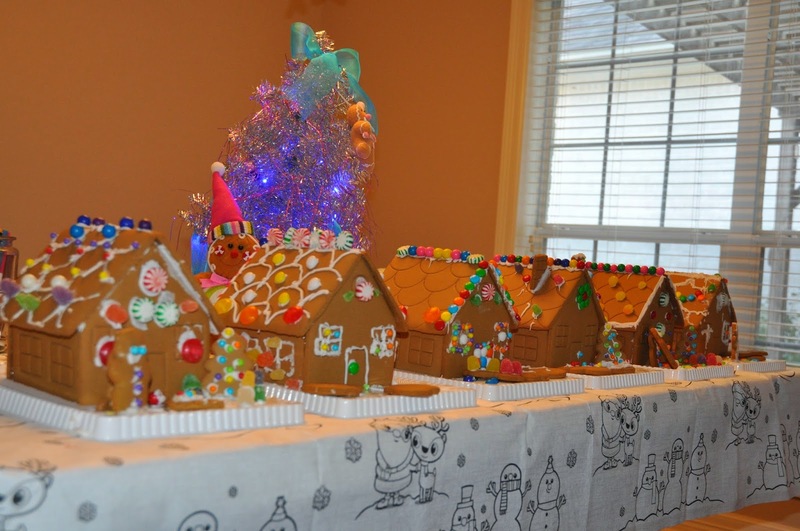 Gingerbread houses AND cute scarves? That's my kind of party. It looks like it was a hit all around. 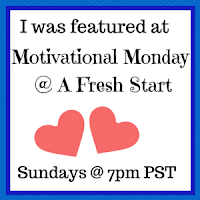 Congrats on your feature at Wonderful Wednesday! Thank you so much! It really was so much fun! I'm looking forward to hosting another one soon! What a fantastic idea! I'll have to use the cookie tin idea for my cookie decorating party! Thank you for linking up with us on Welcome Home Wednesday! Thank you! The tin was the perfect catch all for all the goodies! 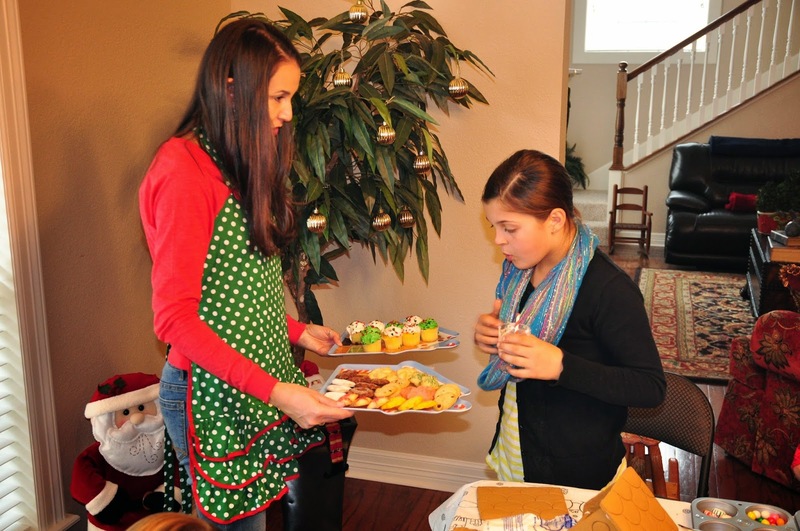 Have fun at your cookie decorating party and thanks for hosting! Themes are definitely a favorite of mine and themes + cute little puns?! Yes, please! 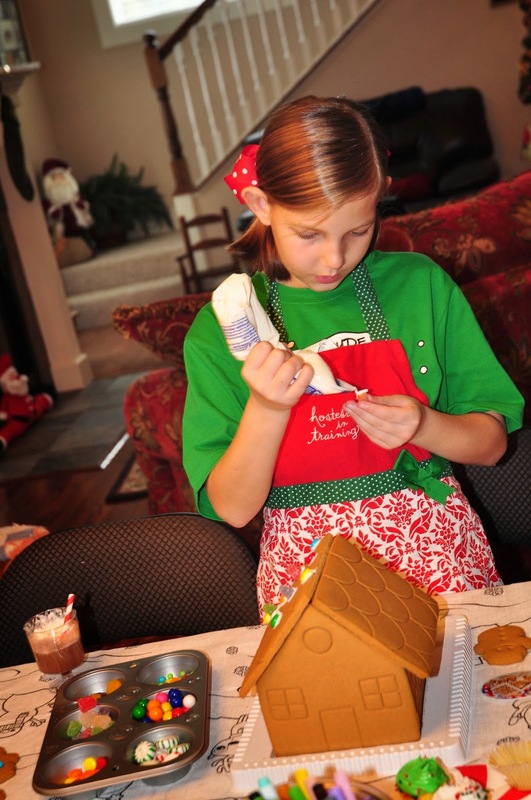 Can I make a Gingerbread house in January?! :) Looks like so much fun was had by all! Now would be the perfect time! You could easily find them on super sale! I don't necessarily think it's a Christmas activity - more of a winter activity! You'll have to share it with me!!! So much fun! 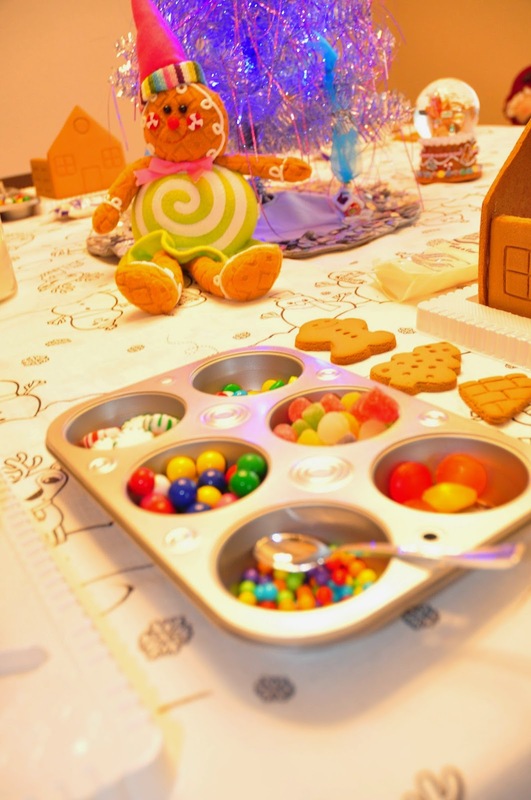 Such cute houses and what a great idea to use muffin tins to contain the candy! Pinned. Thanks! It really was a super easy and fun party! You seriously need to be a party planner Holly. This makes me want to plan something like right now. I love the scarves idea. 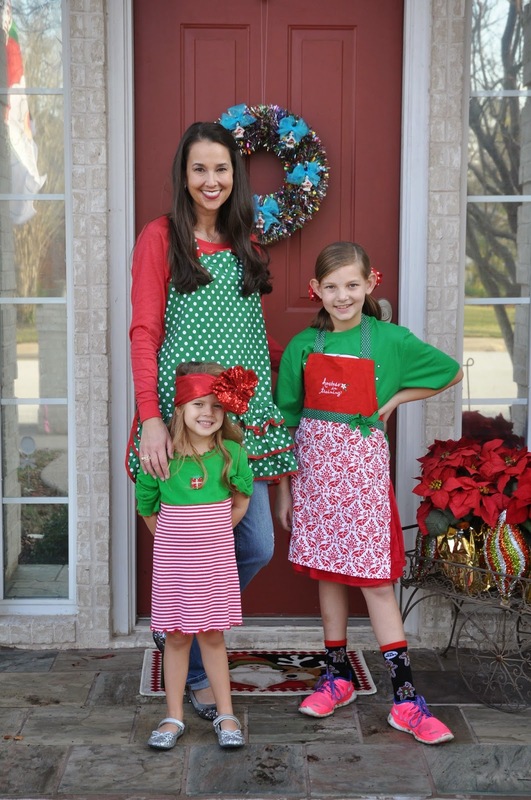 Your kiddos are fortunate to have such a creative mom.